Chinese regional economies witnessed relatively stable growth in the first six months while divergence remained, with debt-laden or resource-dependent areas lagging behind, while those focusing on high-tech industries took the lead. Guizhou province in southwestern China witnessed 10 percent year-on-year growth in the first six months, top among provinces and municipalities that already released regional economic data by July 30. The province was the only one to witness double-digit growth in the first half, followed by southwestern Yunnan province with 9.2 percent year-on-year growth. The Chinese mainland economy expanded 6.8 percent in the first half. As the nation is gearing toward a consumption-driven model while striving to curb financial risks through deleveraging efforts, disparities remain across regions. A total of 19 regions saw slower growth in the first six months compared to the same period last year, many of which rely heavily on resources and investment. Tianjin in North China witnessed a significant slowdown, seeing just 3.4 percent year-on-year growth in the first half. Heavy reliance on traditional sectors such as petrochemicals and automobile manufacturing was one of the major reasons for the slowdown in Tianjin’s GDP growth, according to a report by Moody’s Investors Service. The shutdown of highly polluting companies resulting from the central government’s strict antipollution push also played a part in dragging down growth in the area, the report said. Provinces in Central China achieved relatively stable growth compared to the northeast and some eastern regions. For instance, China’s inland manufacturing and agricultural hub, Henan province, gained an economic output of 2.22 trillion yuan ($325 billion), up 7.8 percent year-on-year. “Economic restructuring has achieved fruitful results in the region,” said Chen Yao, head of the China Regional Economic Association. He said the fast growth of high-tech manufacturing industries helped the region to stabilize and cushion downside risks at a time when some resource-driven regions may face severe challenges if they fail to find new growth momentum, as the nation continues to implement capacity cuts and deleveraging. 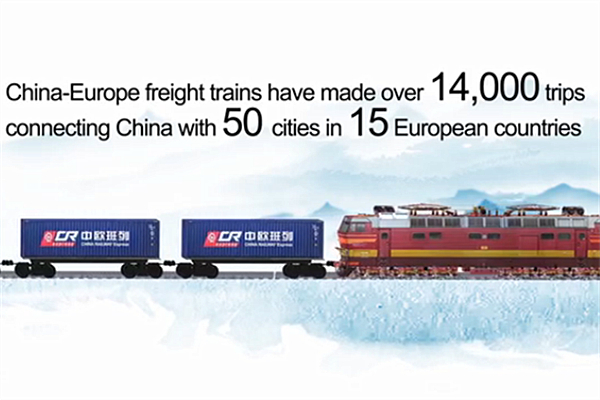 Rapid growth in the central region has to do with robust infrastructure development, where construction of railways has helped improve regional connectivity and helped the region get better involved in the Belt and Road Initiative, according to the regional economy report issued by the Chinese Academy of Social Sciences earlier this month.